BUCYRUS —Galion’s No. 1 doubles team of Tyler Harris and Max Papenhausen won the title at Saturday’s Jim Grandy Tennis Invitational in Bucyrus. In their first-round match against Marion Harding, Harris and Papenhausen advanced 8-7. The Tigers’ twosome advanced to the championship match with an 8-0 win over Upper Sandusky’s top doubles team. Harris and Papenhausen then beat River Valley’s top duo 8-1 to win the title. The Tigers’ second doubles team of Kodin West and Chris Amick was eliminated in the first round by a team from Upper sandusky. In singles play, Zach Grimes lost to Luke Henrich of St. Peter’s at first singles, 0-8. Alec Dicus, playing at second singles, was eliminated by Kolin McKelvey from Willard 2-8. Weston Rose dropped his third singles match to Justin Blackburn of Upper, 6-8. Joining the Tigers at the Grandy in Bucyrus were: Tiffin Calvert, Harding, St. Peter’s, Upper Sandusky, Willard, River Valley and the hosting Redmen. 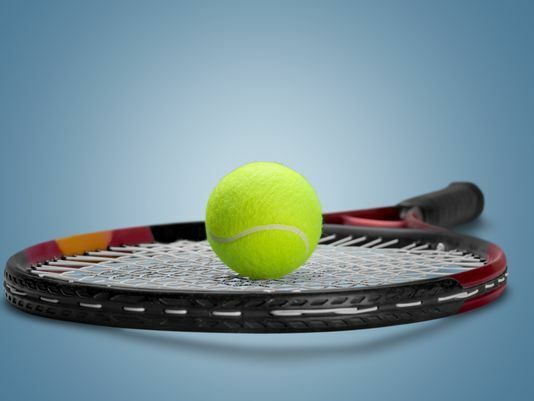 GALION — The Galion Tigers tennis beat Mansfield Senior 5-0 on Friday at Heise Park to improve to 3-4 on the season. Galion didn’t lose a set. At first singles Tyler Harris won 6-2, 6-2. Playing at second singles and winning 6-0, 6-1 was Zach Grimes. Rounding out the singles victories was Alec Dicus who won 6-0,6-0. In first doubles action, tMax Papenhausen and Chris Amick cruised to a 6-1, 6-0 win while the second doubles pairing of Westen Rose and Doug Harvey completed the sweep with a 6-0, 6-1 victory.